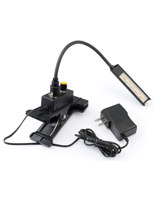 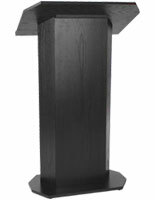 This folding lectern, a portable podium can easily be assembled and disassembled by a single person. 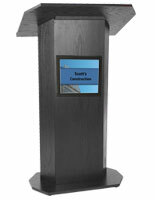 Ideal for trade show presenters or festivals, these lecterns are designed to be assembled on-site for a presentation. 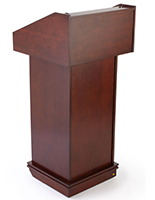 With heavy duty hardware that holds the unit together, you can count on this podium to be reliable and sturdy during a presentation. 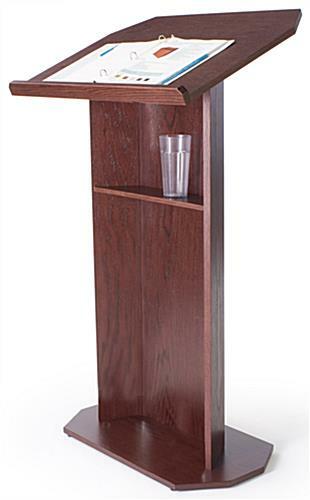 This knockdown lectern has a small but useful shelf for a presenter to keep a glass of water or a remote during a presentation. 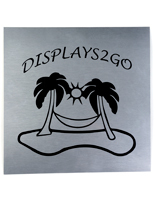 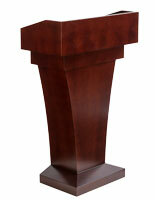 The furniture podiums have rubber feet under the base to help keep the presentation stand in place while speaking. 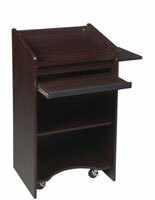 The lectern, such as veneer presentation stand has a 1" lip on the reading surface to keep notes from sliding off. 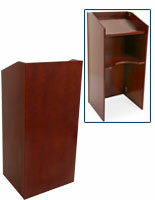 These podiums are constructed of wood veneer and finished with an elegant red mahogany stain. 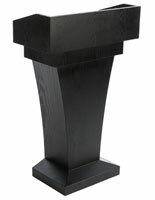 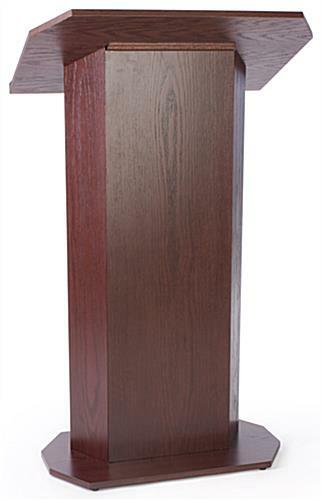 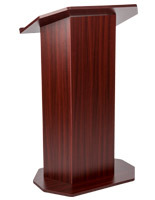 The natural look and feel of this podium is unsurpassed by pulpits twice the price!